2 June is a Day of Botev and died for svobodatai independence of Bulgaria. The date is the death of the Bulgarian poet and revolutionary Hristo Botev (June 2, 1876). First noted in Vratsa and Plovdiv in 1884 officially celebrated since 1901, when the festivities of Mount Vola (Okolchitsa) present Botev's detachment. On June 2, 1948 at 12 hours a first signal for a minute of silence to honor the work of Bulgarian heroes and since then it is done today - for 2 minutes sirens across the country announce the leasing of nationwide tribute. This year we celebrate 140 years since the death of Hristo Botev and his detachment. The life and work of Botev not be compared - met are dramatic events and twists. He left journalism remarkable filled with sharp denunciatory language and uncompromising in turbulent times, when most people remain indifferent and silent. His work ignited a fire in pure hearts, brings its readers to laughter and tears. 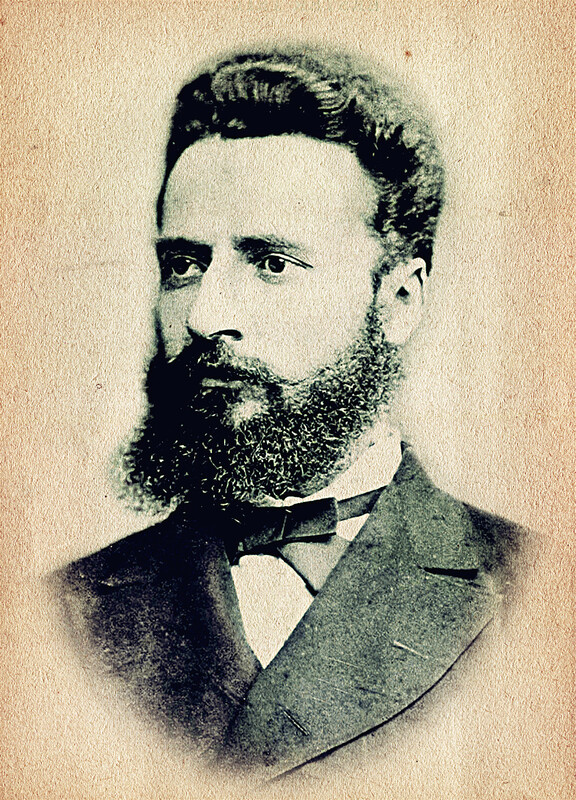 Hristo Botev was born in Kalofer and initially studied in Karlovo, where his father was a teacher. Later he returned to Kalofer and in 1863 graduated from Kalofer school. In October the same year he moved to Russia and private student records in the Second Odessa High School, from which it was expelled in 1865 for some time as a teacher in the Bessarabian village Zadunaevka. In 1867 he returned to Kalofer, began to preach rebellion against landlords and Turks, then finally left Kalofer. The first poem - "My Mother" Botev published in the newspaper "Gaida", edited by P. R. Slaveikov. From October 1867 he is living in Romania. In subsequent years, moving from town to town while living with Vasil Levski. In 1872 he was arrested for conspiracy revolutionary activities and sent to Fokshanskiya prison, but was released due to the intercession of Levski and Lyuben Karavelov. He started working as a printer in Karavelov, and later as an assistant and associate editor of the revolutionary authority. This was the period of his active career as a journalist and in his version is published in the new body of the revolutionary party - newspaper "Flag". In 1875 together with Stefan Stambolov issued the poetry collection "Songs and Poems." "The idea of ​​freedom is omnipotent and love for her whole lot can be done." In May 1876, as part of the April Uprising, organized Botev detachment, where he became leader. From Giurgiu boarded a part of the band of the ship "Radetzky" and on 17 May forced the captain to stop at the Bulgarian coast. 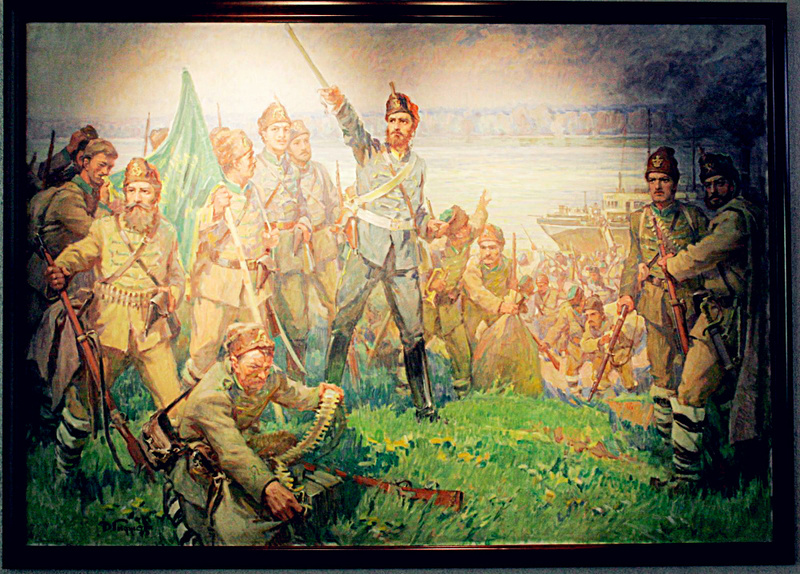 On May 20, 1876 (June 2 - new style) in the last heavy battle of the detachment, Botev was killed. "He who falls in battle for freedom never dies ..."